Leasing a car has many benefits, one being that shoppers get to continuously try what’s new to see what fits them the best. With that being said, the motorist is always responsible for the vehicle when the lease ends, and that includes the extra fees. These fees can be shocking, as some of the fees result from events that are out of our control. Luckily, our Little Rock Land Rover finance center is here to help. With the Excess Wear & Tear Plan for leased vehicles, Little Rock Land Rover can protect themselves and their wallet from things that are out of their hands. Things like minor dings and chipped paint happen over time, and without this type of protection, motorists will get charged when their lease is up. 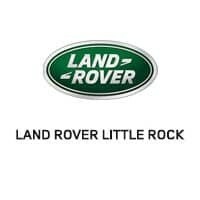 To learn more about what we can do to help, contact Land Rover Little Rock by calling us at (833) 664-6127. To get more information on the plan offered, click here.